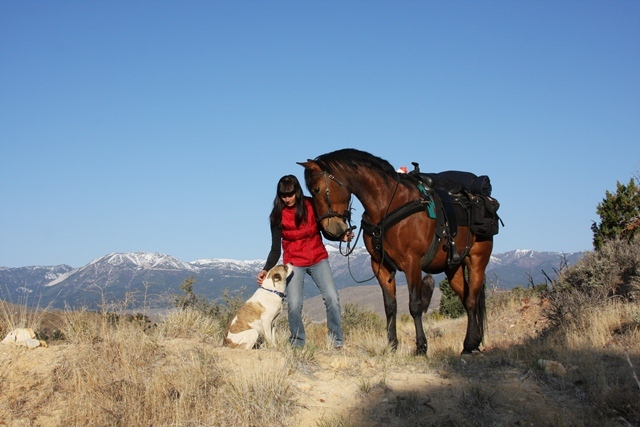 Next month, my adopted mustang, Sage, and I will head out to begin a three-month ride around northern Nevada. In all we will cover a little more than 1,100 miles during our journey. Our route will take us through some of the most remote parts of Nevada. We’ll average about 20 miles a day and camp out every night as we make our way through the high desert terrain. Though all adventures are full of unknowns, there are a few things that I already know we can expect during our upcoming trek. 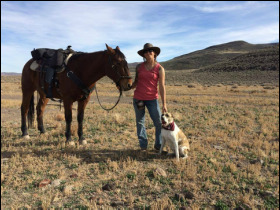 In 2013, Sage and I rode nearly 500 miles across central Nevada over a month. 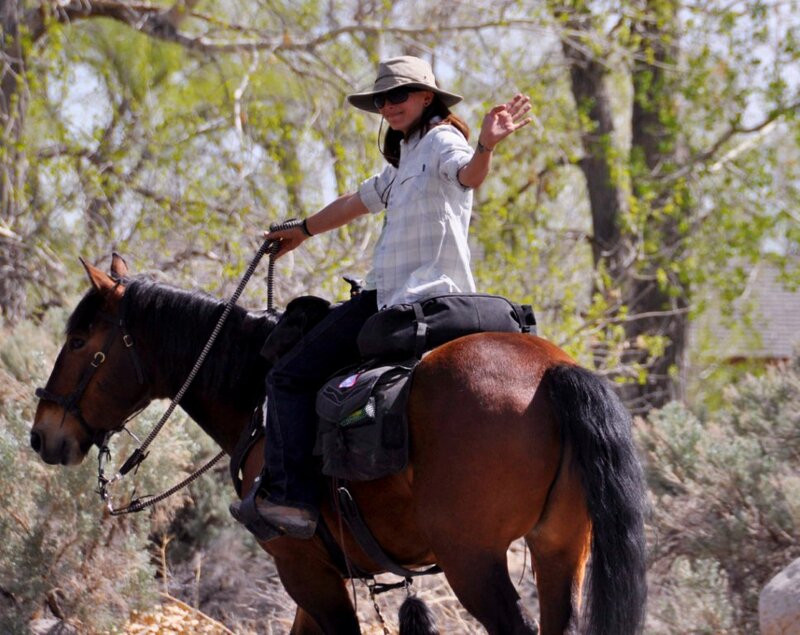 On that ride, I learned a lot of lessons about life on the trail. Of course every long ride is different depending on where and how you are riding, but there are some universal experiences that all long riders share. Some of these lessons are more painful than others, but they’re all part of the adventure! Everyone expects the physical aches and pains that come with riding eight to ten hours a day for months on end. But, most people don’t expect the mental strain. For all the highs of a long ride, there are just as many lows. How will you handle monotony and boredom, getting lost, losing gear, breaking gear, extreme weather, uncooperative horses, treacherous terrain, injuries, insects, not being able to shower, and other frustrations? And let’s not forget those physical challenges. Can you handle a full day of riding after an uncomfortable night’s sleep on the hard ground? What about sunburn and chapped lips? Blisters on your feet? You will push your mind and body to the absolute limits on a long ride. You will find your breaking point. And you will discover whether you have the grit to keep going or not. 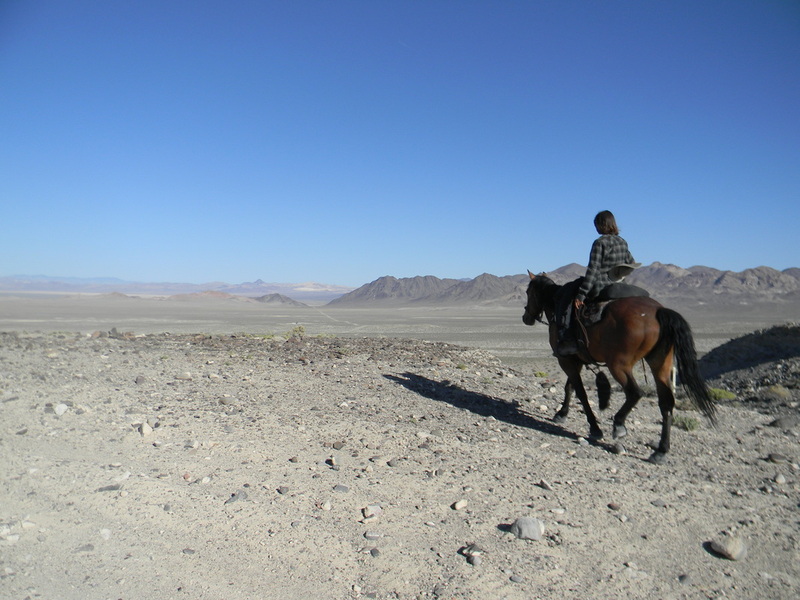 ﻿Samantha, Sage and Bella on their 2013 Nevada Discovery Ride. 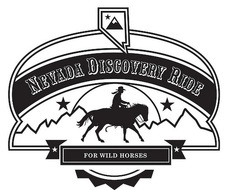 The mission for 2016 Nevada Disovery Ride remains the same: to encourage wild horse adoption. A long ride strips you of all the distractions of the external world and forces you to live each day in the moment. In that sense, life becomes pretty simple. When your day-to-day schedule is ride, camp, and repeat, you come to find joy in the simplest of pleasures. You will be amazed at how much you can appreciate a steady pace, a light breeze, nice footing, good views, a glimpse of wildlife, a flowing stream, or a meadow of grass. And at the end of the day, nothing will be more sublime than taking off your shoes, plopping down, and eating some camp food. 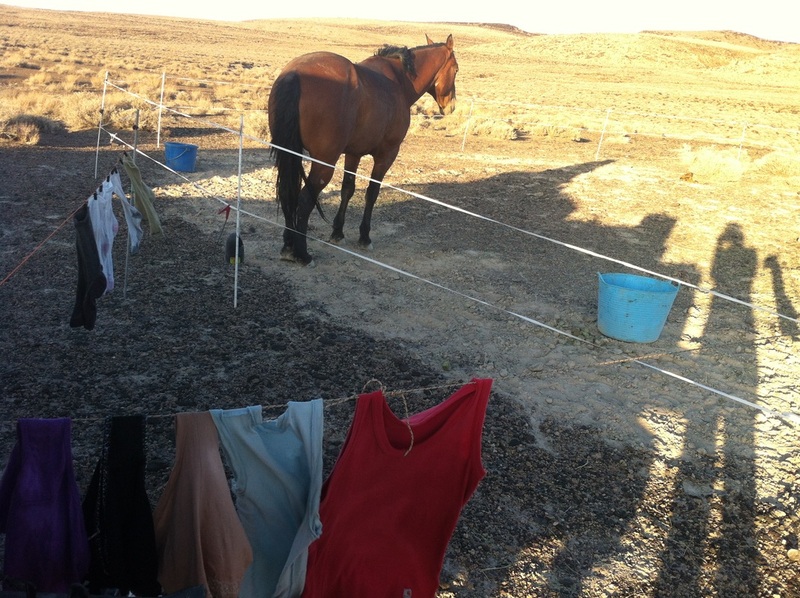 You’ll never appreciate a shower and clean clothes like you will in the midst of a long ride. Eventually, you’ll stop thinking about what you don’t have, and be thankful for the things you do have. There is no better way to bond with your horse than to spend 24 hours a day, 7 days a week with each other, to experience and overcome challenges together, and to truly need each other. 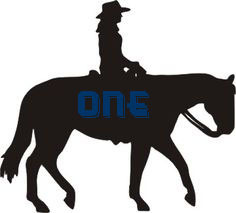 A long ride will transform your relationship with your horse. There will be times where you will need to reassure each other. There will be times you will be at odds with each other. There will be times you feel like you can read each other’s minds. You will worry constantly too, about your horse’s hooves, weight, hydration, health, and happiness. 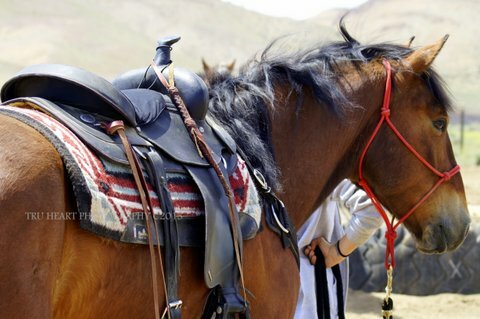 It’s unlikely that your horse will worry as much about you! But, you’ll find that once you get into a groove, you become a very powerful herd of two. I have never been so dirty as I was during my 2013 ride across Nevada. I like to say that I was one day away from dreadlocks. I was only able to take a real shower and wash my clothes a couple times over the month. The rest of the time I was just layered in sweat, sunscreen, and dirt. A long ride is no place to be superficial. Dirt just becomes a way and eventually you become accustomed to it. There’s certainly no point in fighting it. You also get used to all sorts of uncivilized situations like shamelessly airing out your stinky feet and doing your *ahem* “business” outdoors. Life on the trail certainly isn’t glamorous. But you have to get a little wild to live in the wild. ​Spending all day in the saddle, especially when you’re riding by yourself, is pretty quiet. Eventually you’ll get tired of talking to your horse. With so much time, you can often end up riding in a sort of meditative state. Sometimes you’ll find you have no thoughts at all and have just been riding on autopilot for the last few hours. But, other times, you’ll have the most amazing revelations. You’ll think about the past. You’ll ponder all the things in your life that led you to this moment. You’ll think about the future. You’ll create the perfect life plan and then scrap it and come up with a dozen more. It’s amazing how many lives you can live in the span of just 20 miles. Getting to the end of the trail is surprisingly bittersweet. In many ways, you’re so glad to be done. You’ll want nothing more than to sleep in a bed, take a very long hot shower, and eat something other than camp food. 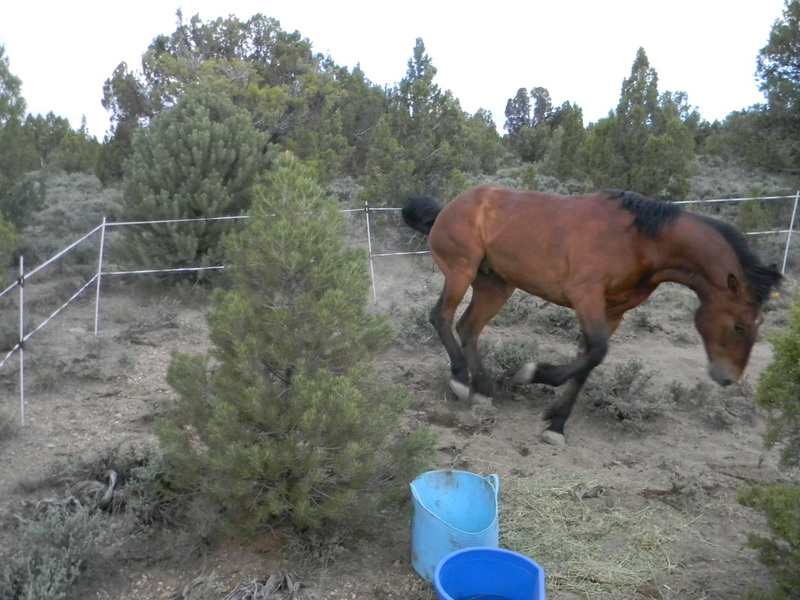 But, you’ll also feel a little sad to give up the trail life, especially when you’ve gotten used to measuring your accomplishments by the mile and you’ve become such a good team with your horse. Once you get to the end, you can’t help but think now what? The return to life and work and bills will feel a bit overwhelming. 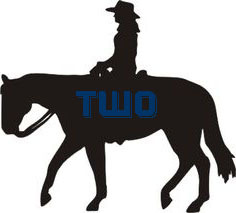 You’ll miss your horse. You’ll miss the quiet. But, if you’re anything like me, it won’t take long before you find yourself starting to plan your next long ride adventure!